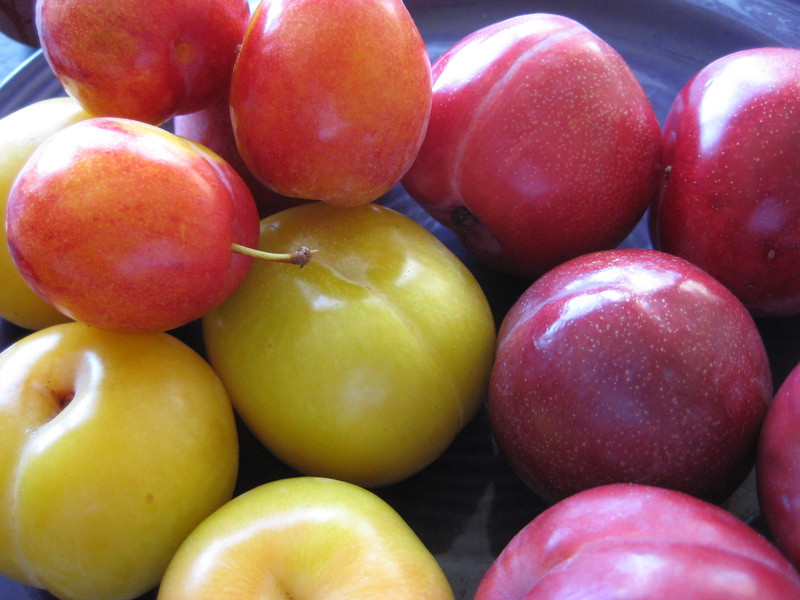 No other fruit has quite the color range of the lovely plum. They are shiny gold, bright ruby, deep amethyst and even delicate tourmaline. They decorate the garden like jeweled orbs, revealing yet another layer of shining color once you bite into their juicy flesh. 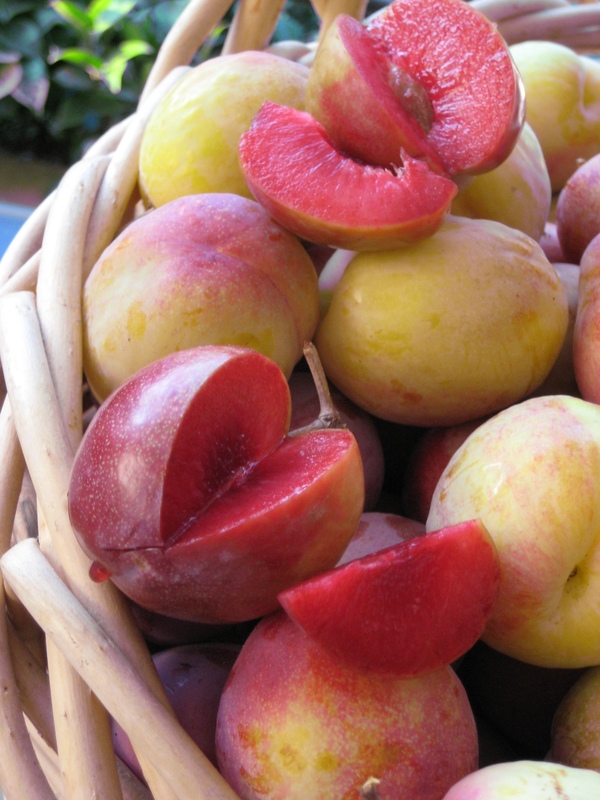 Plums are generally classified into two different groups. 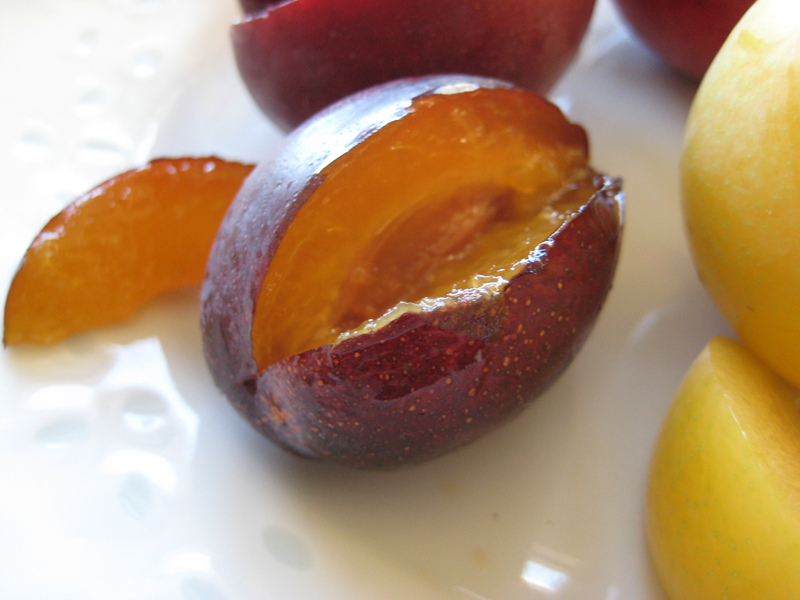 Japanese plums have large fruit and a nice balance between sugar and acid. 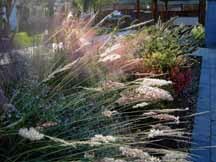 They are often the best match for mild winter climates such as coastal California. The European plums have a higher sugar content and the most well-known are often highly prized for drying. These are sometimes referred to as Sugar Plums. They tend to be later blooming and require more chill hours (total hours of cold) than the Japanese plums. 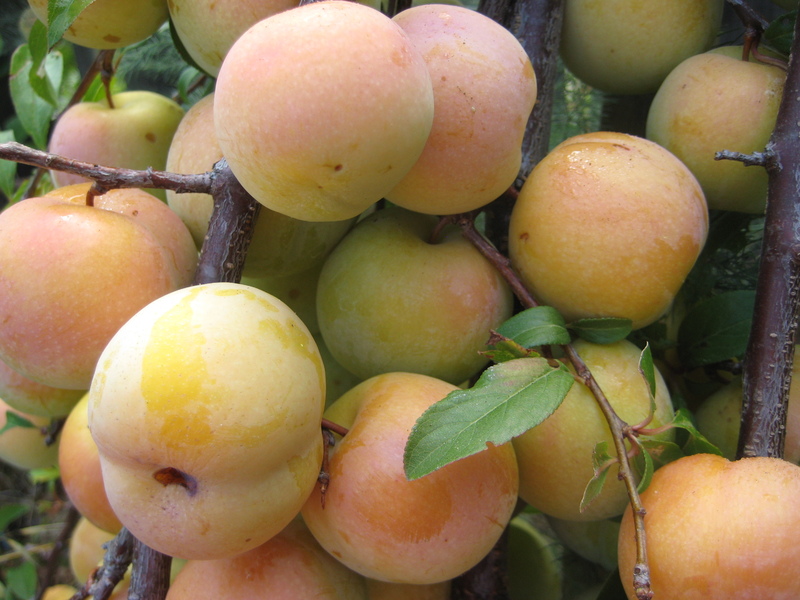 There is also an ever-expanding mix of plum hybrids, referred to as plumcots, pluots, nectaplums and apriums, depending on the type of fruit they have been crossed with. This expands the range of colors exponentially with their layered shades, freckles and spots. Many plums have a complexity to their flavor profile that people don’t always appreciate, perhaps numbed by the few varieties that have been available commercially. Subtleties of flavor are affected by the growing conditions in a given year, the way that wine grapes produce a range of characteristics, depending on details of the season. 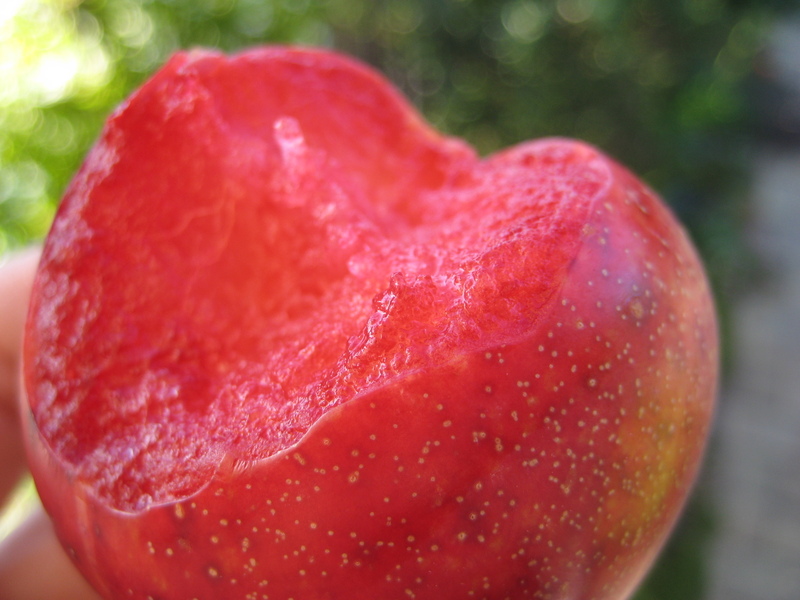 As I bit into the flesh of my Flavor King Pluots this year, I thought to myself; this is what the color red tastes like. This is what every red slurpee wishes it were. 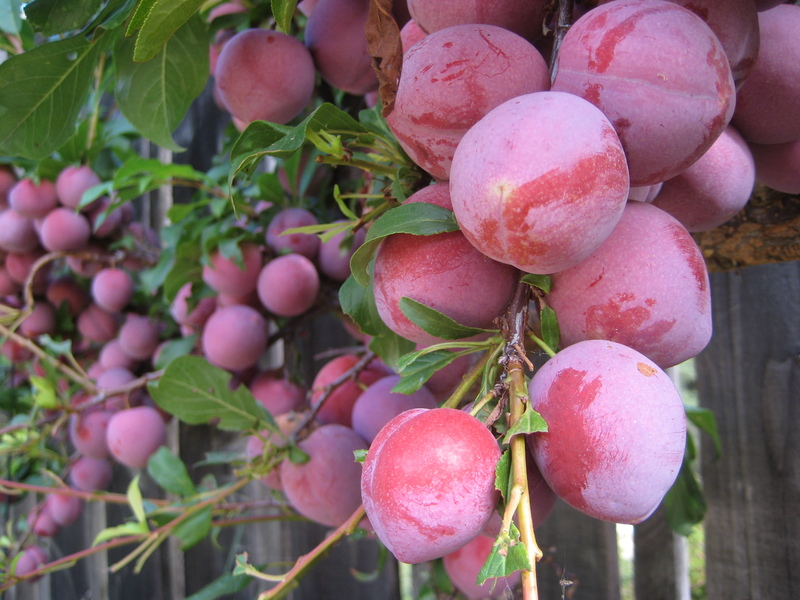 Plums are relatively easy in the garden, needing very little care once established. 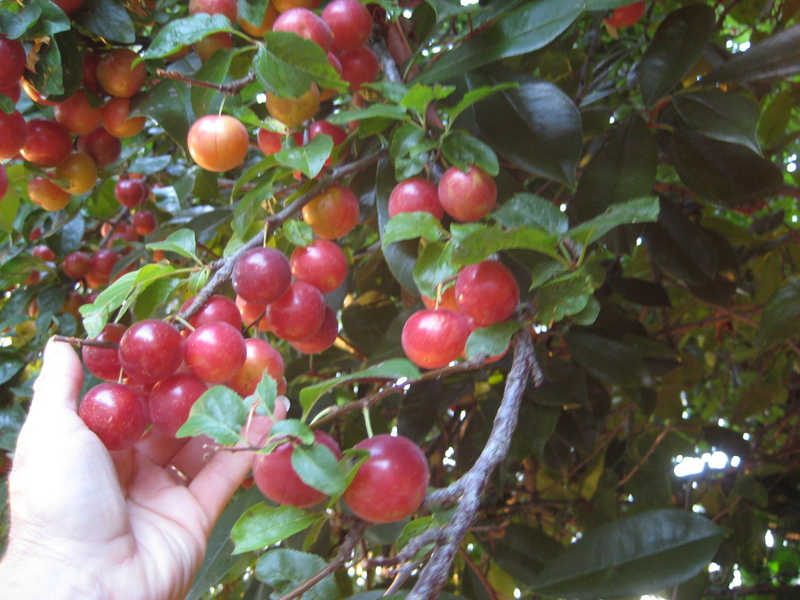 One species of plum has even naturalized in California, often referred to as the cherry plum, due to the small size of the fruit. It is one of the earliest ripening and can make a nice juice,sauce or jam but because they are generally spread by seed, the quality of the fruit can vary widely from tree to tree. 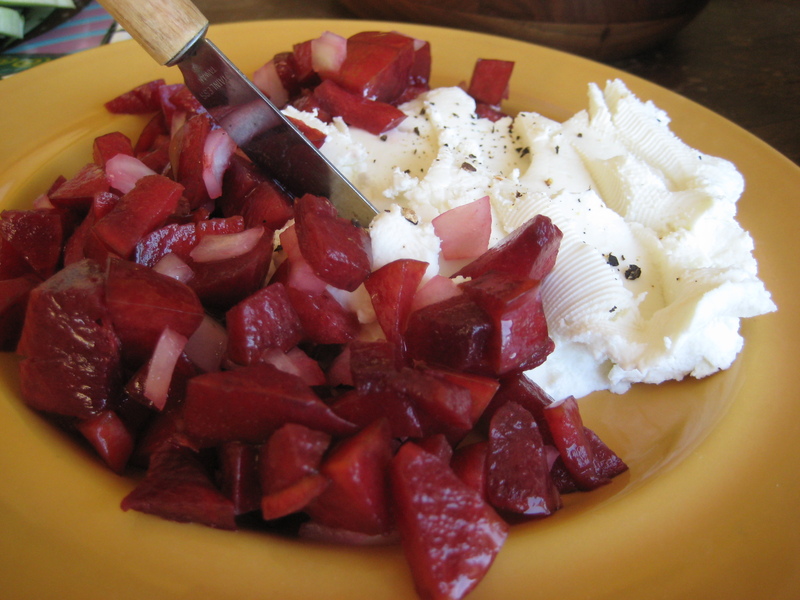 Plums are even more versatile in the kitchen than they are in the garden. They look gorgeous simply arranged on a plate, but they also take well to salads, grilling, salsa’s and chutneys. They can be made into jams, sherbets, pies and wine. With the right choices, they can take you from the early days of summer into the warm days of fall, bringing easy beauty to the garden and the table.